Track list: same as the original, plus the Slow Down World album track list. All bonus tracks by Donovan P. Leitch except 04, music by Donovan, lyrics by Augusta Theodosia Drane (not credited). 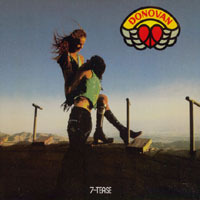 · In Rock And Roll Souljer you can hear Donovan saying "baby" at 01:42, which is not on the original release. That word also appears on the single version. · The single version of Salvation Stomp has the sime length than the album version, and there's no difference between them. · Age Of Treason and What The Soul Desires first appeared in 1992 in the CD Box Set Troubadour: The Definitive Collection 1964–1976. · Age Of Treason is an autobiographical song where Donovan tells his life from his childhood. · The lyrics to What The Soul Desires are based on a poem by Augusta Theodosia Drane (1823-1894), but she's not credited anywhere. · In the inside book there's an introduction by Chris Welch, dated April 2004. The lyrics to the songs are printed on the book, along with seven photographs with high contrast, taken at the same place as the back cover. Donovan, Linda and probably Linda's sister (not checked, but looks a lot like Linda) appear in the photos, and in some of them there's also a German Shepherd. · The inside book features also a picture of Donovan sitting on the ground with a guitar behind him. This photograph seems to be from the 80's because Donovans looks older. 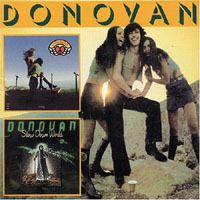 · Inside the box, behind the CD, there's another picture of Donovan, probably of that time.